Originally from Southeast Michigan, Kevin and his wife, Mary Jane, moved to Cape Coral with their two daughters in 2004 to escape the long, cold winters of Michigan. Kevin’s passion for Southwest Florida is apparent in his everyday life! He is an avid boater and outdoorsman. On the weekends, Kevin can usually be found either boating to one of his family’s favorite waterfront restaurants or to one of the many beautiful world-renowned beaches here in Lee County. Kevin and his wife also enjoy kayaking through the mangroves or bicycling on one of Lee County’s many bike paths. Kevin’s natural talent in the music field is also one of his favorite hobbies. He has been playing guitar and singing in various bands since 1979. On any given night here in Cape Coral, you might find him joining one of the local bands onstage as a guest performer. Kevin’s extensive experience in sales and customer service is evident in his commitment to find solutions to his customer’s needs. 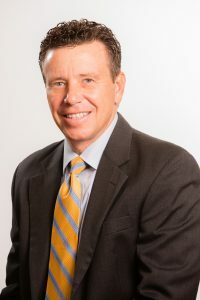 His previous experience includes working as a financial consultant for Comerica Bank, and representing the insurance and banking industry for 15 years. He is ready to utilize all of his experience to help his customers find the perfect home. Kevin’s goal is to work in your best interest to find the best home for you and your family. He is looking forward to helping you achieve the Southwest Florida dream and experiencing all this area has to offer! Contact Kevin to get started @ 239.243.6004 or via email, kkuhlman@miloffaubuchonrealty.com.